The bland-but-reliable Volvo has been a myth for some time now, as Volvo continues to evolve it’s lineup to please drivers who appreciate both practicality and fun in their daily driver. The Volvo XC60 is the latest in a series of Volvo models that are capable of bumping up your heart rate while bringing home the groceries. Available now at Gunther Volkswagen Volvo, this luxury SUV combines performance and functionality in an elegant package perfectly befitting of the Volvo name. The new Volvo S60 comes in three compelling trims: Volvo S60 Momentum, Volvo S60 Inscription, and Volvo S60 R-Design. While the first may come the closest to providing you the most features per dollar, and the second offers arguably the most exclusive standard and available luxury amenities, the third provides what could perhaps be described as the ideal balance between sporting flair and decadent luxury. The 2019 Volvo XC40 continues an excellent SUV tradition that Volvo has consistently produced. Here in Delray Beach, we have plenty of New Volvo XC40 models ready to find their next home. In Momentum, R-Design, and Inscription trim, this maneuverable SUV packs spacing, all-wheel drive, advanced powertrain options, safety features, and high ground clearance that separates it from the pack. When you visit our new inventory selection in Delray Beach, our impressive collection of Volvo XC40 models will make a lasting impression. What Stands Out About the Volvo XC40? Athletic, and confident, the 2019 Volvo S60 is a stellar and powerful presence. It's deeply intertwined with Scandinavian beauty, minimalist inspiration, and highly evident of the striking craftsmanship. Within our new Volvo inventory, we have many 2019 Volvo S60 models in store. We encourage you to visit our dealership and discover for yourself what sets Volvo sedans apart. While it is good to try and prevent automobile theft, there are some cases when a vehicle is going to get stolen. Therefore, there are certain things that you can do in order to protect your vehicle even when it is stolen so that the thief is not able to get away with the vehicle. Sunsets and sunrises are beautiful when you're sitting on your backyard porch, but they can be an extra danger when you're driving. Glare from the sun can make driving nerve-wracking or simply give you a headache from squinting. But there are some things that you can do to make yourself more comfortable and safe. The 2018 Volvo V90 is one of the most popular luxury wagons on the road today. The V90 is stylish and performs very well. However, that's not all it has to offer. It also continues Volvo's legacy of being one of the safest cars on the road. Innovative safety features found in this model include the 360° camera. This shows drivers the whole area around the vehicle, which helps them monitor their surroundings for obstacles. In the new Volvo XC40, your smartphone can become a part of your ride. This popular luxury subcompact SUV has standard smartphone connectivity. You can pair your device to the infotainment center for hands-free functionality. Every XC40 at Gunther Volvo Delray Beach has Bluetooth technology built right in. Data is transferred wirelessly. Once your mobile device is paired, it can connect to the SUV each time you get behind the wheel. The infotainment system has Apple CarPlay and Android Auto capabilities built right in. 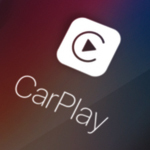 Apple CarPlay is a simple service that lets you play music and other streamed content from the driver’s seat. Users of the service can access it from other seats of the car as well. For the most part, someone new to this particular Apple service can just consider it an Automotive version of iTunes, as it allows the same content to be accessed while on the road. The aroma of pumpkin spice fills the nearby Starbucks and the leaves change color. Mowing the lawn has switched over to raking leaves. One of the many fall chores someone should consider is changing his or her oil. If he or she does not want to change the oil on his own, it does not hurt to take it to a mechanic to have it changed. Having an oil with the wrong viscosity can damage a car's engine.